Sugar Land is one of the quickest expanding and most affluent cities in Texas. Such affluence generates advertising opportunities in specific target audiences. The new minor league baseball team the Sugar Land Skeeters offer opportunities for local advertising in their stadium Constellation Field. There are also outdoor advertising possibilities in and around First Colony Mall which is a major retail shopping area in Sugar Land. Additionally, the Sugar Land Regional Airport offers bus advertising options as well as billboard signs around the airport. Two major highways run through Sugar Land, US Highway 90A and State highway 99. 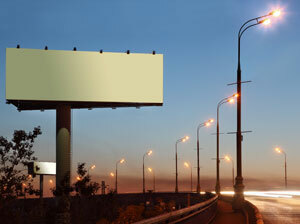 Both of these highways are great chances for billboards or other outdoor advertising.